Which parameters should be measured? Chauvin Arnoux Energy helps you to choose the most suitable products for your requirements. Monitoring and analysing energy consumption? Because measuring instruments are not always equipped with communication and continuous recording functions for the quantities measured, Chauvin Arnoux Energy proposes data loggers and pulse receivers to optimize operation of your energy performance system. To handle all the types of installations, Chauvin Arnoux Energy proposes a comprehensive offering. Ethernet: gateway, switch, modem router, etc. 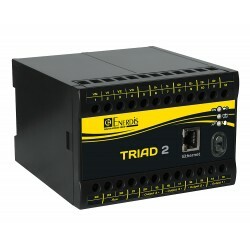 Series: RS232/RS485 converters, repeater, dispatcher, etc. Radio frequency: transmitter, data collection unit, repeater, etc. E.online 2 is used via a web browser and can be customized to suit each user. The know-how and services proposed by Chauvin Arnoux Energy cover all types of environments (industry, infrastructure, tertiary) and a broad spectrum segmented by project phase. European Commission Directorate-General for Energy: Institution responsible for developing and implementing energy policy in the European Union. Leonardo Energy: Worldwide community bringing together academics and industrialists in five main areas: energy efficiency, renewable energy systems, power supply quality, electrical safety and the home of the future. IEA: The International Energy Agency is an independent body working for clean, safe and affordable energy production for its 28 member countries and non-member countries. It proposes studies by experts, statistics, analyses and independent recommendations. ADEME: The French Environment and Energy Management Agency which helps to implement public policy regarding the environment, energy and sustainable development. EVO: Non-profit non-governmental organization dedicated entirely to drawing up protocols for measurement and verification (M&V) of projects' contributions to energy efficiency.